The latest iteration of Steve Caballero’s iconic Vans Half Cab takes it one step further with embossed suede snake effect uppers, creating texture and style. 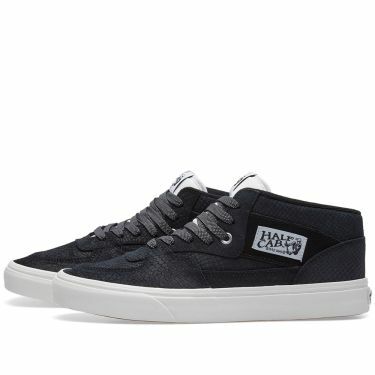 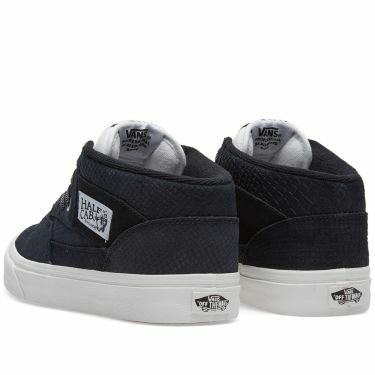 The mid-top shoe comprises the features of a classic Vans shoe; a classic waffle outsole, padded ankle support and Vans heel decal set on a white sole unit. 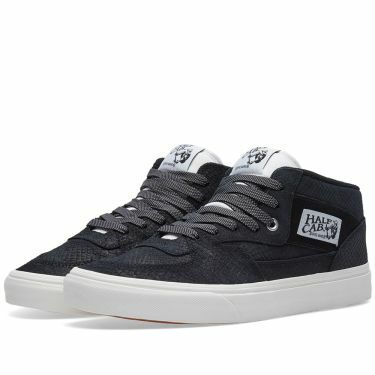 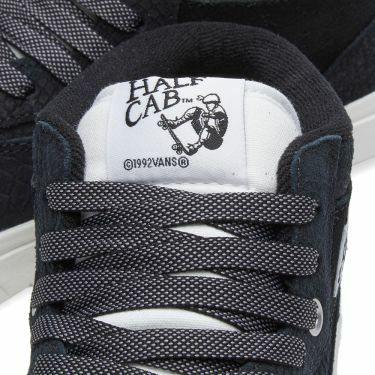 But the shoe is also branded with the Half Cab logo to the side and tongue, with re-enforced toe caps for an even more hard-wearing design.